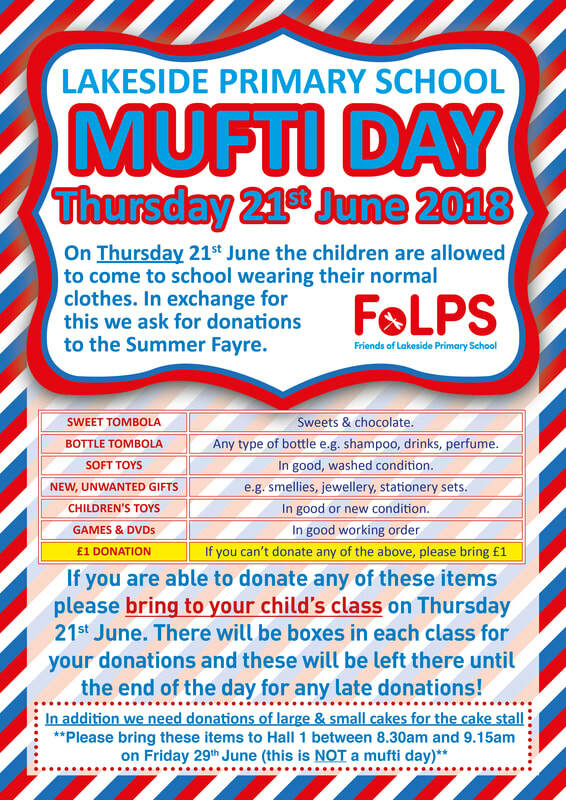 On Thursday 21st June, 2018, children can come to school wearing normal clothes in exchange for bringing in donations for the Summer Fayre (on 30th June). Hampers are assembled using donations made by you and raffled in the style of a Grand Draw with tickets being sold in advance and on the day. If you are unable to bring in any of the items stated on the list, then you can donate £1 instead. Bring your donations into school on Thursday 21st June and leave in the boxes in your class room. You will also receive raffle tickets via your child’s book bag which we hope you are able to sell to your friends, family and work colleagues. The draw will take place at the summer fayre at around 1.45pm. We will also need donations for the cake stall, please bring your bakes to hall 1 in the morning between 8.30am and 9.15am on Friday 19th June (this is NOT a mufti day).